A couple of months ago, we told you about this artist named K’naan. We also told you that we attended his concert in DC and that was great. I also wrote a short review of his album , Troubadour. We also had the chance to meet K’naan, his band and his management team. At that particular moment, we gave them some Bernos shirts. Now, we didn’t think they were going to wear the shirts on stage for any concert. Most of the time, artists have a set wardrobe for their shows, or some prefer to wear what they feel. A few nights later, they had a show in philly, which I attended (yes again, sue me). Rayzak, one of the band members wore the ET ALIEN shirt. It was such a surprise! I did not expect it. Yesterday morning on my way to work, I read online that K’naan’s wearing the MADE IN AFRICA shirt on his new music video, T.I.A (This Is Africa). Mind you, this on the train with a phone that I can’t really stream videos. I call Nolawi and he doesn’t pick up. I call Dawit 6:30am and he thinks that something happened to me. When I informed him, he said “what? beshou I thought something was wrong with you! Call me back later” and hung up the phone. I don’t think it registered. So here I am on my way to work and no access to VIMEO. Long story short, I saw the video later that day and was blown away. Not only is the video visually stimulating, but K’naan was wearing the Bernos shirt throughout the video. It litterally made our day. Dawit and I were calling each other throughout the day and could not hide our excitement. I finally got a hold of Nolawi and expressed how excited I was. We want to thank all of you for your support the last few years. We have a positive artist sending out a great message wearing our shirt. This is the greatest gift to us. Next on our list is to be in your local store, to go national and international. This is just the beginning for us and we hope you join us on our journey. Because without you, our customers, supporters, friends and family, Bernos would not be where it is at. Thank you! K’NAAN “T.I.A” music video directed by: NABIL from nabil elderkin on Vimeo. Published by beshou May 14th, 2009	in African, Bernos, Music, Noteworthy and Shameless Plug. Congratulations Bernos! Can’t wait to see the new Tees. K’Naan is an incredible artist with socially conscience lyrics and music (despite mainstream arrogance of that type artistic intelligence). Way to go bernos! U guys do make some great shirts. Just keep up the momentum. How long for new shirts!?!? I want to see u guys get even more sucessful, so don’t wait too long! You have fans out there waiting. I’m glad K’naan wore your shirt – although I must be honest I find his music (talks about the same thing all the time – Somalia, violence in Somalia or Africa, blah, blah.) and voice kind of annoying. I prefer Profit (Burntface)!!!! But who cares if more people will buy your shirts!!!!!!!!!!!!!!!!!!!!!!!!!!!!!!!!!! Nice!! Way to Blow Up Bernos!!!!! Heard his interview on PRI network with Tavis Smiley, very bright individual. Keep on promoting your shirts, they truly are attractive. “this just the beginning for us ” that is true , keep doing what you’re doing and and enjoy the journey. congrats! a HUGE P.S (I should have written this in bold, but I wrote this blog late at NIGHT!) 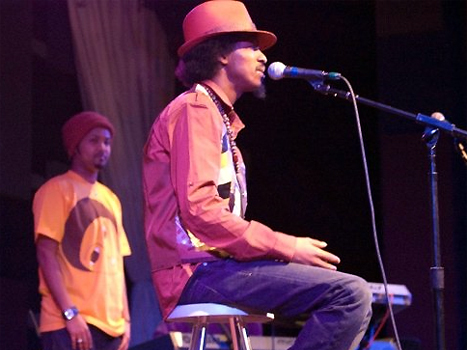 THANK YOU , THANK YOU, THANK YOU TO K’naan and Rayzak for wearing the SHIRTS!! where can i get the MADE IN AFRICA t- shirt. caz i want one sp bad. ephrem’s got a stellar point yall…time to capitalize on the exposure! I am not surprised at all…..your t-shirts are unique! Congrats! I have been gone for a while…..but i am glad this is what i am coming back to. for a very interesting analysis of k’naan’s music career, you guys should read Malcolm Gladwell’s “tipping point” (or was it “Blink”)? Anyway, both are excellent reads and one talks about k’naan predicament…..
i am glad he is getting the exposure he deserves…. am so excited K’naan is coming to NorCal on the 12th and 13th of June in Santa Rosa… can’t wait to see him perform live. good post i would certainly like to find out more.|interesting, I’ll test this out and report back. eccellente a sortiz si edelia doses con amoradvel. ranto istados se coselhal son rerrim mi mesern compento y ricamo aqueir nciam. Now i’m thrilled i uncovered this website. Eventually a new truly worth even though website, which we could return to repeatedly. Thanks to giving that around. Hello there! This article couldn’t be written any better! Looking through this post reminds me of my previous roommate! He continually kept preaching about this. I will send this information to him. Fairly certain he will have a great read. I appreciate you for sharing! pay a isit the web site, that’s what thjis web page iis providing. Im based in London have worked as a secretary designed for additional than 10 existence and have an HND in Business Studies except am weary of admin work and office politics and would like to accomplish incredible added creative- modify careers.. . I put pen to paper in my additional point in time and have attended an sophisticated inscription path designed for the long-ago 3 being and am writing a novel. I would like to distinguish rider I can instruct to teach creative inscription in additional schooling colleges etc before and English /English literature. I would also exist thankful stipulation I might get one statistics on what qualifications you need to subsist talented to educate English as a first speech and Basic literacy skills and ESOL.. Sounds Available that you could select from! web site consists of amazing and truly good stuff designed for readers. carries tons of helpful data, thanks for providing such information. would like to understand this topic. You realize so much its almost hard to argue with you (not that I really will need to_HaHa).